Rafik, Kastle, Pyrmdplaza, Martin Eyerer, Full Crate X Mar and more. This show was 25th in the global bass music chart. 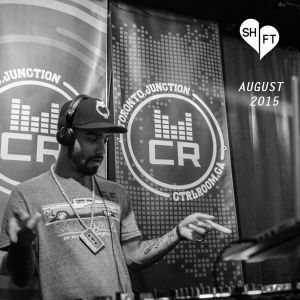 Shft has been steadily building his following over the last 2 years with a stream of ear catching sets, mixes and productions. His sound is rooted in the 808 drum beds of Rap, but with a soulfulness, depth and emotion often overlooked, yet crucially needed. Think Three 6 Mafia meets Teddy Riley on MDMA at the after party, and you get the idea.